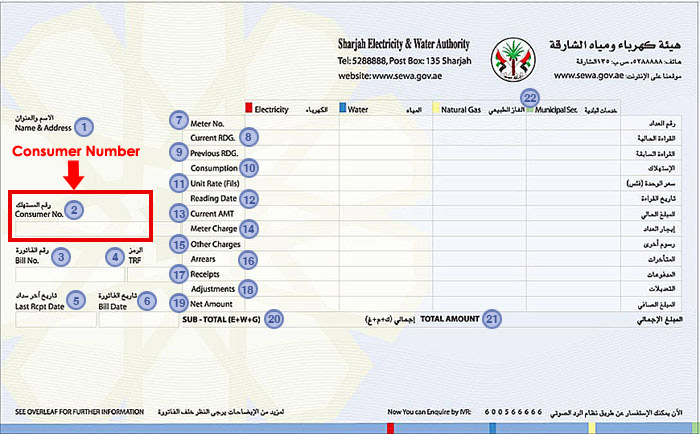 Green Bill is an electric version of the Electricity and Water Authority Sharjah paper bill. What is the objective of the green bill campaign? Digital transformation of the authority bills to preserve the environment and sustain resources. Where the Authority is looking to update %90 of the details of the communication channels with subscribers and details of a private phone and e-mail. What is the Slogan of the green bill campaign? This slogan was chosen to encourage and motivate subscribers to participate in the “Sharjah City Of Conservation” initiative By maintaining the sustainability of the resource and support “Sharjah healthy City” by ensuring the reduction of carbon emissions from printing and transporting invoices and reducing subscribers’ visits to the offices to pay bills with different types of transportation. When does the Authority intends to issue an electronic bill and stop dealing with paper bills? Green Bills will be issued automatically after information update and paper bills will be suspended as of January 2017. What distinguishes the Green Bill and what are its benefits? How can I pay the Green Bill? How many subscribes using E-Services Portal service? And how can the Subscriber update his/ her date?